The Arnold Arboretum of Harvard University invites applicants for research fellowships in plant science. Putnam Fellowships offer excellent opportunities for advanced research and study using the Arboretum’s living collections of trees and shrubs. Scientists and horticulturists with a PhD and who have identified a research project that would utilize the Arboretum’s living collections are encouraged to apply. Putnam Fellows conduct basic and applied research in the plant sciences. The goal of the program is to facilitate the research use of the Arboretum’s living collections, thereby stimulating their use within the larger scientific community. The research topics of past Putnam Fellows have included taxonomy and systematics, physiological ecology, propagation, plant-insect and/or -pathogen interactions, and collections management. The Putnam Fellowship Program has attracted a diverse array of scholars, and many have gone on to be leaders in academia and public horticulture. The Arnold Arboretum provides exceptional resources for woody plant research. The living collections, numbering some 15,000 plants, are distinguished as one of the most thoroughly documented collections of temperate woody plants in the world. Taxonomic diversity and breadth within the collection are noteworthy, and the floras of China, Japan, and Korea are particularly well represented. The Harvard Botanical Library contains 250,000 volumes, while the Harvard University Herbaria holds over 5,000,000 specimens. Applications are sought from early- and mid-career individuals with a PhD in plant science, plant ecology, horticulture or related discipline. Applicants should be well positioned to conduct original, independent research and to publish their findings in peer-reviewed publications. Applicants are expected to have the ability to write and converse fluently in English. The Putnam Fellowship award provides stipends of up to $40,000 per year, depending on professional status, need, and duration of the fellowship. In addition, modest support is available for research and travel costs. 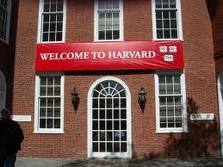 Putnam Fellows are employees of Harvard University during their tenure and are eligible for health insurance benefits. Putnam Fellows are expected to publish the results of their research in professional or academic journals and present their work at professional meetings and workshops. Putnam Fellows are also expected to engage fully in the professional activities of the Arnold Arboretum and be in full-time residence during their tenure. While the primary work of Putnam Fellows is conducting original independent research that utilizes the living collections of the Arboretum, Putnam Fellows are also expected to work collaboratively with the staff of the Arboretum on other institutional efforts. Participation as an instructor for Arnold Arboretum education programs is encouraged, as is writing for Arnoldia, the Arboretum’s quarterly magazine. The fellowship is typically awarded for 1 year, with an option for a second year renewal upon review. Shorter appointments, of no less than 3 months, are also possible. Putnam Fellows must initiate their term at the Arboretum within 12 months of notification. Cover letter. The cover letter should clearly state (i) the applicant’s interest in the program; (ii) the length of the term desired by the applicant; and (iii) the applicant’s contact information. Research Statement. The statement should be no longer than 4 pages, single-spaced, and should describe the research project the applicant proposes to conduct as a Putnam Fellow. The statement should describe (i) the nature and scope of the proposed research project; (ii) the approach and methods to be employed; (iii) how the living collections of the Arnold Arboretum would be utilized; (iv) all laboratory and equipment requirements; and (v) how the project will advance knowledge about the plant kingdom. Research Budget. A modest level of funding is available for research and travel costs. Applicants should submit a simple, 1-page budget that itemizes the research and travel costs associated with the proposed project. Three letters of recommendation. Letters of recommendation should clearly indicate the name, title, mailing address, phone, and email address of the person providing the recommendation. Letters may be sent under separate cover, provided they meet the deadline. Electronic applications are strongly encouraged. All four components should be combined, in the order listed, in a single PDF document and sent to Michael Dosmann, Curator of the Living Collections, at email. Applications will be accepted between January 1, 2011 and March 1, 2011. Applications post-marked after March 1, 2011 will not be considered. Interested individuals are encouraged to discuss the program and their research interests with Michael Dosmann prior to submitting an application. Dr. Dosmann can be reached by phone at 617.384.5769, or by email. The range and depth of the applicant’s education and professional experience. Applicants will be judged by his/her track record as an independent researcher, and also by his/her collaborations on specific projects and other organizational efforts. Applicants will be notified of their status by April 15, 2011. The Arnold Arboretum of Harvard University is an Affirmative Action/Equal Opportunity Employer and requires pre-employment reference and background screening. Demikianlah informasi tentang Katharine H Putnam Fellowships in Plant Science, Harvard University, USA, semoga bermanfaat.